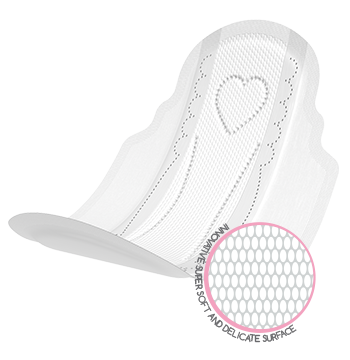 Thin, only 2.5 mm, pad provides a feeling of complete confidence even in tight clothes. New enlarged protective wings with their unique textured surface securely fix the pad on the underwear and provide additional protection against leakage. Especially designed strong and pleasant to touch upper layers perfectly absorb moisture and do not irritate the skin. 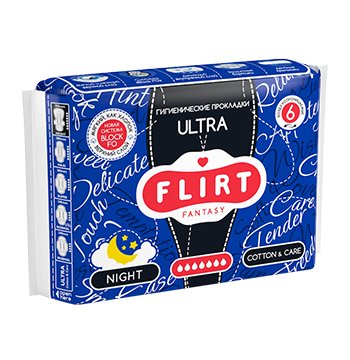 fantasy FLIRT® Ultra pads are available in two types of the topsheet - Cotton & Care («breathable» fabric, as close to natural cotton as only possible) and Soft & Dry (high absorbency material with extra leaks protection). Also available in economy package.